"ECLIPSE" is the new high-integration instruments family from Flybox. "ECLIPSE" is the new high-integration instruments family from Flybox. The display, very readable in direct sunlight, shows the engine and flight data organized in one or more pages. 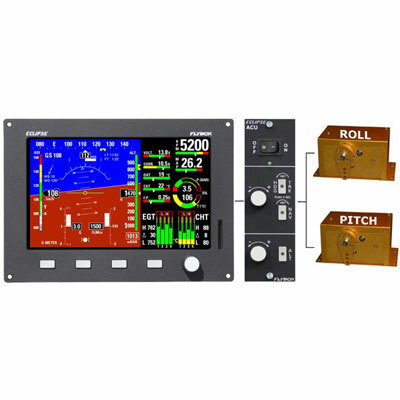 Many features make ECLIPSE unique in the avionics market, such as the intuitive graphical data representation, the vocal alarms, the 3 color cameras video inputs and the datalogger with integrated graphical viewer. Four different versions meet the most demanding requirements, allowing you to configure your instrument panel to the best quality price ratio available today.